Squirrels are rodents with long, bushy tails. Squirrels have sharp claws. 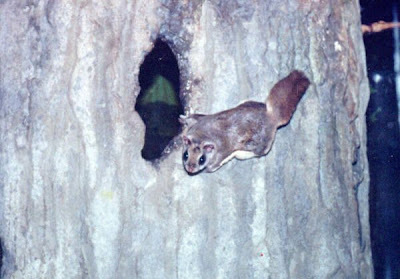 Many squirrels climb trees. 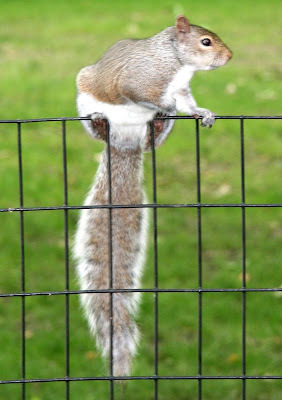 Squirrels use their tails to balance. Squirrels have red, brown, gray, black, or white fur. Many squirrels live in woodlands, Woodlands are covered with trees and shrubs. Some squirrels dig burrows. Other squirrels build nests in trees. Some squirrels glide between trees. They look like they are flying. 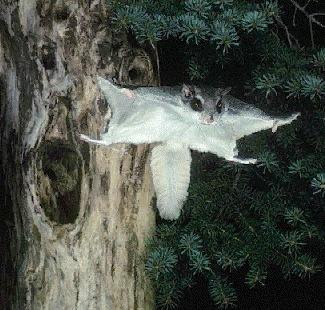 These squirrels are called flying squirrels. Squirrels eat nuts, seeds, plants, and insects. Squirrels put food in their cheek pouches. 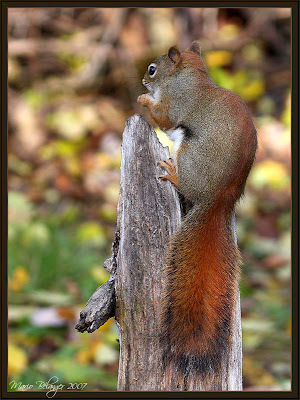 Squirrels often look for food during the day. They sleep at night.